she was born a raised in Tokyo started out her career when she was 13 as a model, from then forward she has graced from magazine to film and a regular personal on tv shows. celebrating her 17 year career who still inspires new generation of girls with her never ending beauty and fashion. Here is Beyonce modeling and promoting for Samantha Thavasa. samantha Thavasa is Japanese fashion company widely known for their handbags founded in 1994 by Kazumasa Terada who Nikki Hilton, Vctoria Beckham and Tinsley Mortimer each have their own lines from Samantha Thavasa. In 2006 they opened their first US store in NYC. WOW she's 30? she looks fabulous! makes me really want to make sure i take care of my skin, hahaha. 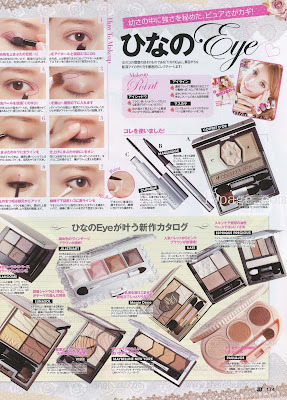 OH i want those palettes.. and those lippies.. and blushes.. so pretty! wow! 30? she is super gorgeous for that age :) thanks for the scans! Wow, thanks for sharing these scans! I almost bought this to read on the plane back to MN, but I decided to save money. Too bad >< I hope I can look so cute and pretty when I'm 30 also! I LOVE JJ magazine!! :D I used to buy a copy every month. ^_^ love the editorial where they look like old school fashion icons. Thanks for sharing! I should look into picking this magazine up again. she's 30 !!! omg, im so jealous! Japanese magazines are so detailed! They're definitely the leading mags in beauty in my opinion! She looks pretty great for her age and has such beautiful eyes! Wow Hinano is 30.. amazing!! She is sooo HOT <33 I swear Japanese girls don't age =). 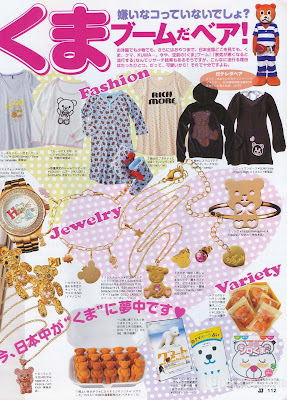 I love the mag scans.. everything is so Kawaii. Wow look at Beyonce!! 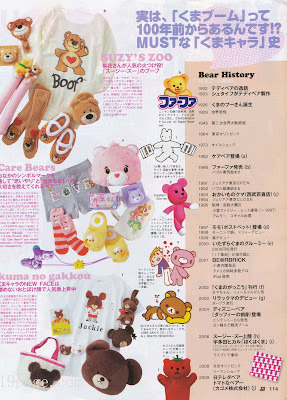 Ooo Bear Boom.. Too cute<3 Thanks for the post hun! JJ is my fave Japanese magazine! Which reminds me I have to pick up Jan & Feb :P.. But thanks for the scans!Hinano looks amazing! oh wow hinano looks great at 30! I only hope to look good when I get older. OMG Beyonce! I love her! Thanks for all the scans Eki!! She's 30?! No way! I'm turning 30 this year... damn.. wish I looked that good! LOL! Hey! I simply wish to give an enormous thumbs up for the good data you have right here on this post.